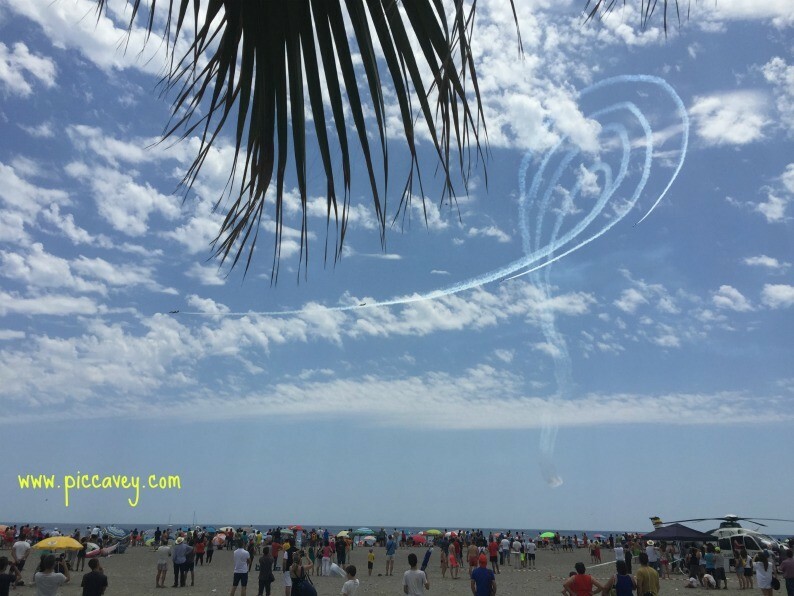 Motril Air Show is one of the four Spanish Air Shows celebrated anually. 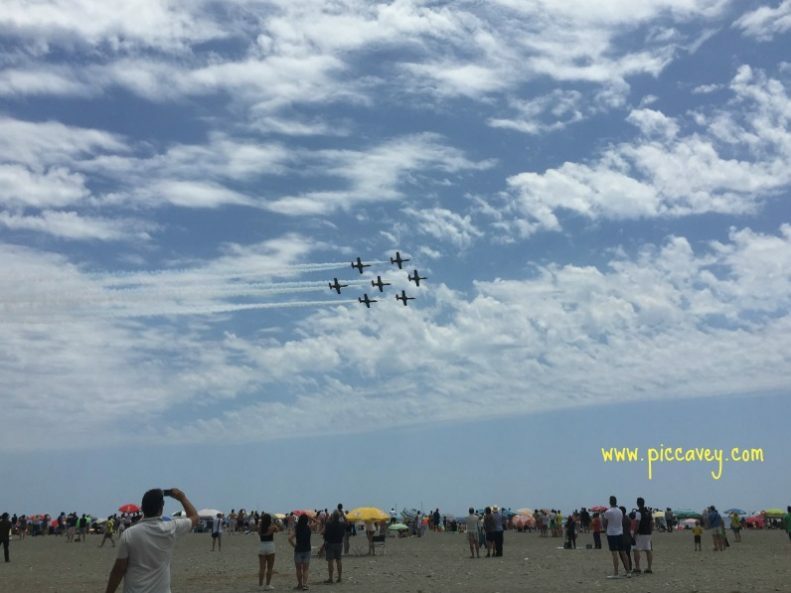 The Costa Tropical has it´s own Air Show on the first day of Summer. 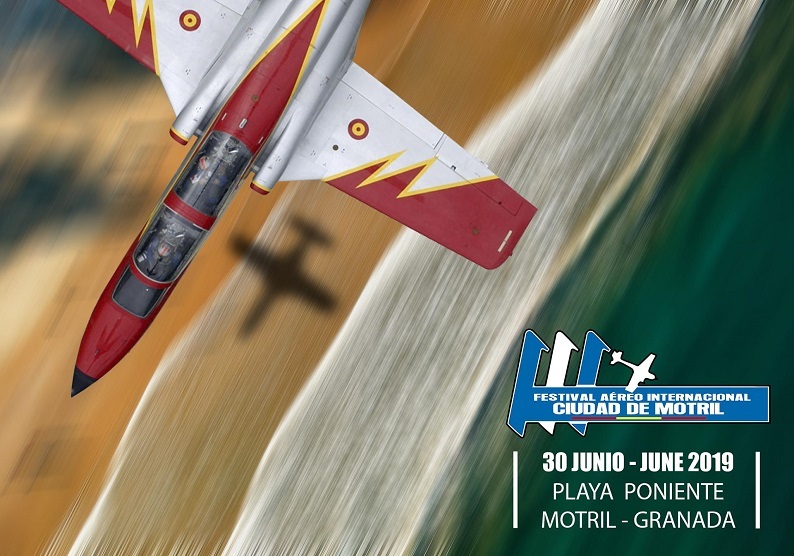 This year it is the 14th Edition of the Festival Aereo Internacional de Motril. The centre of the action is at on Playa Poniente in Motril. Just off the main road just past Playa Granada. On previous years the display started at 11.30am. I like to get there early to park easily. Last year I arrived at 10.30am to the large car park between the road and the beach here. 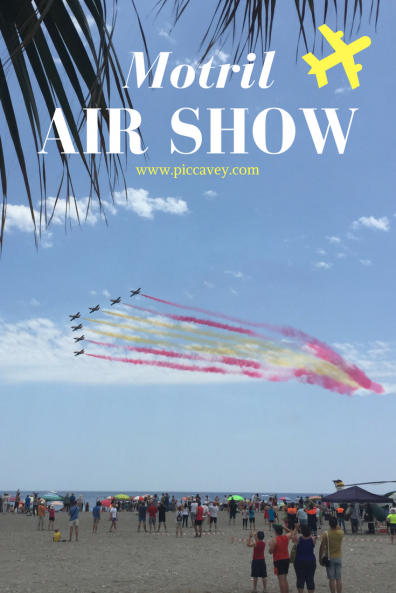 The first time planes were on show in Motril was back in 2006. Since then this International Air Show has grown and progressed over the years. To entertain the crowds before the show this Guardia Civil Helicopter was there one year. You could go and see it inside and get your photo taken too. 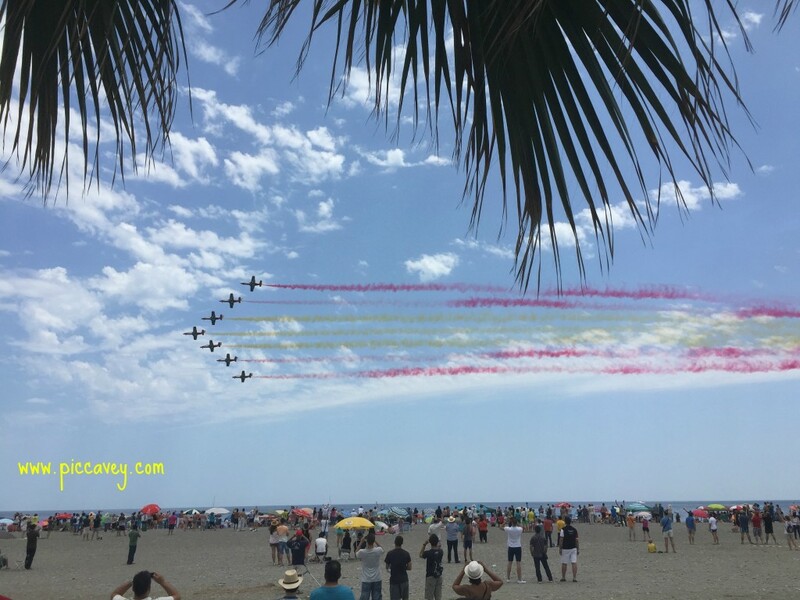 The show opened with the local Tropicopter Helicopter flying the Spanish flag over the crowds to welcome the spectators. Acrobatics by French team Cartouche Doré followed. This festival is an international one and has pilots from different countries. Last time there were French, Turkish and Spanish pilots made up the display. The commentary on the beach was mainly in Spanish but two parts were done in French and English. Back in 2017 I saw this F-16 C Block-40 aircraft display by SoloTurk. I´m not even going to try to describe this. 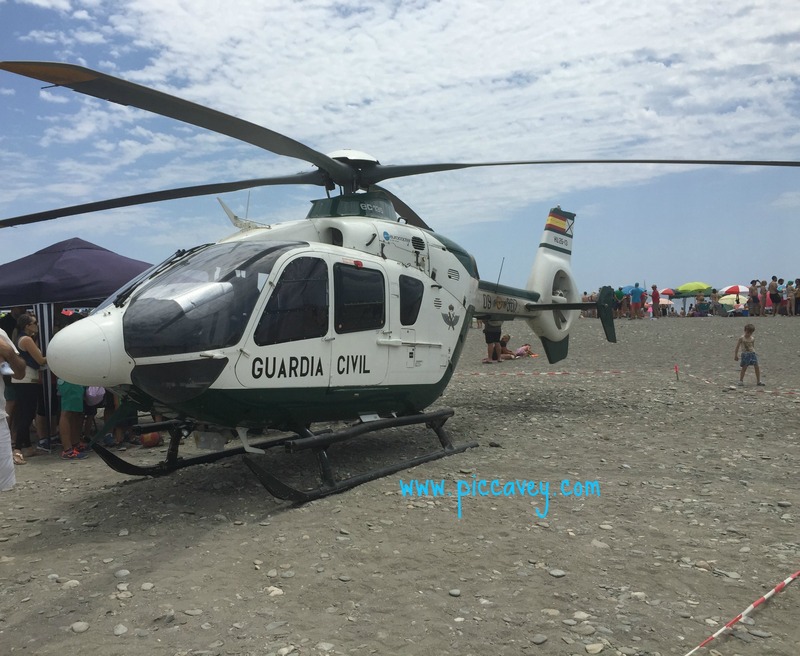 The Sea Rescue Helicopter from Almeria performed a rescue in the sea just off the shore, winching up a man from the sea into the low flying helicopter. The show lasted around 3 hours and made a great day at the beach. In 2018 70,000 people enjoyed this sky festival. How to get there: Drive to Playa Granada, Motril. Follow signs to Playa Poniente, Motril. Get there early: Arrive around 10am. Park up and head off for a coffee or a swim. Take hat, sun cream and your camera! Signed posters were available from the different pilots.